We missed you this Christmas. Its 13 minutes past your 13th birthday, and as daddy and I talked about you today I thanked him for saying yes 13 years ago when I called him to let him know about the tiny baby girl who had been born. He didn't hesitate for even a moment that day. His response to my announcement was "Lets go get her." I loved him for that. In that very moment I loved him deeper than I ever had before. I loved him for his willingness to love you. Loved him for his faith that all would be ok. Loved him for not questioning or doubting or faltering for the slightest moment even though we didn't have a plan and had no idea you were coming. When I told this story with your big sister tonight I smiled when I realized we had been married for 13 years when you arrived. I guess the number 13 isn't so unlucky after all. I'll be honest and share with you that I never could imagine you at 13. I never got that far. 10...I would lie awake and could picture you...12...I tried so hard when I closed my eyes at night to see you at that age...but 13 I never even dreamed. That truth breaks my heart. I so wish I could have believed you would still be with us at this age, but I never did. Somehow I think I knew somewhere inside me that your work in this life...your calling...your purpose would be fulfilled, and you would have already been called home. The tears are slipping from my eyes as I see that thought spilled out in this letter I'm writing to you on this your 13th birthday. I wish you were here to turn 13. I wish your story was still being told. I wish I could know you at this age. I wish more than anything that your journey in this life hadn't ended at just 8 years old. My heart cries out...it screams in a silence that only I can hear. I wanted to hold on to you forever, but knew that I could not. You were never mine to keep. Only shared with us for such a short time. Still the knowing that your life was created to bring glory to Him does not ease the pain of losing you. I'm learning to trust that His ways are higher than mine just as he says. Even though I do not understand Him I am choosing to trust Him. He has you. He is good. The most wonderful thing about your birthday today is knowing that this day would have brought you joy. We spent this week concentrating on kindness and spreading joy to others. Its become our birthday celebration in memory of you. We learned so very much from you about joy. We love you sweet girl. We miss you more today than we did yesterday. We have all been forever changed by knowing you. Happy Birthday my sweet Ashley Kate. You would have made the most beautiful teenager. Your mom and dad love you more than words could ever convey. I hope with all that is in me that you knew that and felt that every day of your life. I've spent a lot of time this Christmas season thinking about the reasons behind the very difficult struggle that Christmas seems to bring since her passing. I've searched my heart, my grief, my thoughts, and my memories as I've wondered why her absence seems so very magnified during the season. Many things have come to mind as I thought back to our Christmas' with our precious Ashley. Stories that I hadn't thought of in years, memories that I'd tucked deep inside my heart, and photographs of her that I hadn't looked through in a while all came tumbling to the forefront during my search for the reasons behind the hurt. Reasons other than the fact that her physical presence is no longer here with us. Christmas has always been a favorite time of year for me. I love the lights, the decor, the feeling of "home" that comes along with the season when our front door opens up and welcomes us in after being away for an afternoon out running errands, a day spent at the office, or a semester of school ending. There is just something special about the way our house feels during this season. December 2004 was just as special as all the other Decembers in our home. 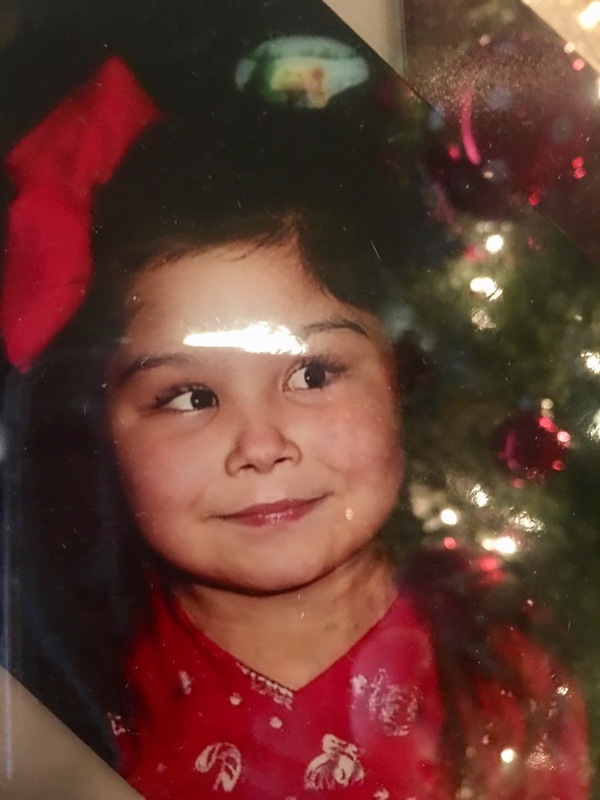 Blake and Allison were 9 and 6 that year and the photographs and video show the excitement in their eyes and on their faces that Christmas day. Christmas just becomes more amazing, more special, almost magical when you view it through the eyes of your own children. It had been a blessed day. One I wanted to remember forever as Dave and I lay down for bed that evening. As we lay there talking about all the things that made us smile that day I remember asking Dave if he had enjoyed Christmas that year and his answer was one I'll never forget. "Yes! It was a great day, and I already know what I want for Christmas next year." That instantly made me giggle. I thought to myself "he is such a kid!" and I LOVE that about my husband. He keeps me laughing and smiling all the time and that night his answer was just what I had come to expect from him...except for just one thing... He wasn't finished with his answer...As I was still smiling from his response to my question He continued to say..."I wan't to find our baby. I'd like to have our 3 children together for Christmas next year." That Christmas night of 2004 we were finally on the same page at the same time, and I lay there in the dark smiling ear to ear as tears were forming in the corners of my eyes. After almost 13 years of being married, planning and raising our family, discussing how to grow our family, we had both arrived at the same place...finally. That night we decided by Christmas 2005 we wanted to adopt the baby I had dreamed of for years. I had no idea where "she" was that Christmas night or who she would be, but I believed in a God who loved me enough to give me the desire of my heart. That Christmas night I drifted off to sleep with dreams of what He would do in the life of our family over the next year. This memory is just one of the many that I think I discovered this season as to why I miss her so at Christmas time. We dreamed of her that night, just the two of us laying there in our bed, already falling so in love with her even though we had yet to find her...but God knew who she was, when she was being conceived, how she would come to us, and the long but oh so beautiful journey her life would become. As I type that last sentence the tears are falling from my eyes and running down my face because He also knew how her life would end although I did not. He knew I would only have 7 Christmas seasons to hold my baby and see the joy and the sparkle in her eyes as the lights twinkled inside our home. He already knew that Christmas 2012 would be her last one with us here, and oh how I wish I had known that too(this is something I have and still do really struggle with). He already knew how she would steal our hearts and change those hearts for the rest of our lives. Throughout Ashley Kate's life Christmas was one of the "if we can just get her to dates" that I kept track of in my mind. I was always planning and looking ahead for a goal to get her to survive too...to live long enough for. It helped me get through the rough parts of her journey. Having her home for Christmas was the dream. To have all three kids together for Christmas was always the goal. It wasn't about the presents under the tree...it never has been...it was about the feeling of having us all together. It was about how Christmas felt knowing that all three of our children were tucked safe into their beds in our home those Christmas Eve nights. Nothing brought me more peace during the season than that because I knew if she were home and not in a hospital bed that she was "alright" ...she was "safe". Our world was alright because Ash was home were she belonged with Blake and Allison. Since Ashley Kate's death Christmas has been so very hard for all of us. We have made an effort to make Christmas different for our kids, but yet still the same. I'm not sure that I can explain it effectively enough. Our home looks the same, it is filled with twinkling lights, holiday photographs, the sights and sounds that have always welcomed us into the door, but it feels different too since she's no longer here. The silence of her laughter is a sound that echoes now during the holidays. Her joy is missing so blatantly on Christmas day so we now leave. We plan holidays for our "adult" children away from our home on Christmas day. Its become tradition these last 5 Christmas' since she left for us to be away. She is never far from our thoughts and definitely in our hearts each Christmas, but we seem to shed less tears if we aren't sitting around our tree without her here. We just arrived home last night from a beautiful Christmas holiday in Mexico with Blake and Allison. Our children are young adults now, and we have so enjoyed watching them grow up. Christmas this year still hurt my heart more than I can truly share, but we laughed together and made new memories. Christmas is so different without her here, but it is still a treasured holiday of warmth and togetherness for all of us. We will never have another family photo that includes us all, and that hurts more than words can describe, but we are still a family. We are still together, and I can truly say that I am blessed. Broken forever but always blessed. Christmas Morning with her Daddy and that ugly, orange dinosaur she just needed to have. One of our very favorite snapshots of Ashley Kate. Her beauty radiates from this image. Oh sweet girl, you are missed. We have now been separated from our sweet Ashley Kate for 4 Christmas mornings. Each one as difficult as the first. I have now spent 4 holiday seasons standing in a cemetery. There are no words for how hard that is at Christmas. It seems as though I've watched the Father collect so many of our children and take them unto Himself over these last three years. Each time I hear of yet another mother enduring the unthinkable my heart breaks a little more. Death has robbed so many of us of so many moments with our little ones. As I sat through this Christmas Day choking on my tears as the memories of Ash flooded over me, I thought of all of those mothers who were waking up this morning to spend their first Christmas Day without their child. Oh how my heart aches for them...for me... for all of us. Christmas just isn't Christmas anymore...not once you've walked away and left your most precious of gifts in the ground. Precious mother, I feel your pain today. I cry for your loss. Your longing. Your wanting to wish it all back to the way it once was when sleepy eyes woke with wonder, and stockings hung from the mantle with sweet surprises just waiting to be discovered. How I wish I could spare you from the loss you will be feeling today. It is so very hard for those around us to understand. So hard for them to see past the painted smile, and the forced effort to be present as the celebration of this day unfolded before us. I wish I could make them see, let them be one of us for just a moment, but yet I would never wish the pain of such loss on another even if only for a short moment. Today I found my heart searching for understanding...seeking a peace in knowing that our beautiful Ashley sat near the feet of Jesus and not on the lap of Santa for another year. Oh the JOY she must have felt this Christmas morning as all of heaven sang Holy, Holy Holy round His throne. As much as I missed her today...as much as I wanted to give to her...as much as I wanted to hold her close to me...I understand that all of that CAN NOT compare to what Jesus has given, and shown, and bestowed upon my precious girl this day. She has seen Him face to face. She has walked along beside Him. She has touched His face. She has seen the very face of God! I can't even comprehend. As I long to have her here with me this Christmas day and every other day I am trying so very hard to bring my heart back to these thoughts. These things that I know to be true. He loves her. Although it makes no sense to me how He could love her more than I do, I believe that He does. He must. Merry Christmas Ashley Kate. Your mommy missed you today. Your daddy longed to hold you on his lap as you peeked into your stocking. We thought of you. We remembered your wonder. We smiled as we shared memories of your Christmas mornings spent with us. We smiled, we cried, we celebrated. Your stocking still hung although we knew you would not be here. We anxiously await to be where you are. Until then we will keep seeking, searching, and serving.